Aspirinox Alloys Inc is the biggest Alloy Steel T9 Seamless Tube manufacturer in India, catering to all Tube needs of customers all across the country. We are an ISO certified company who has acquired the name of being the most sought-after A213 T9 Alloy Steel Seamless Tubes Supplier across globally. Grade T9 AS Seamless Tubes covers seamless austenitic steel boiler, superheater, and heat-exchanger tube uses. We deliver Alloy Steel Seamless Tubes with very good quality. These Alloy Steel T9 Seamless Rectangular Tubes are widely used to a number of customers all across the globe. T9 Alloy Steel Tubes can be cut to size and shape according to your fabrication and design requirements and all work is governed by our independently accredited and regularly audited quality systems. 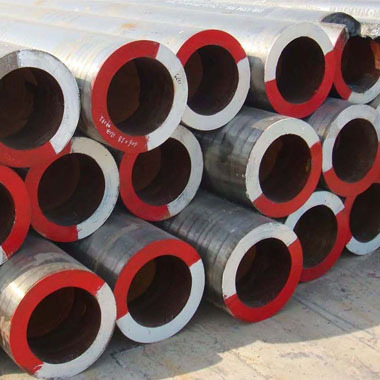 Alloy Steel T9 Seamless Round Tubes and T9 AS Seamless Oval Tubes are offered in customized thickness and diameter at very reasonable cost for superheater tubes and economizer tubes. Alloy Steel T9 Seamless Hollow Tubes are utilized for various commercial applications such as oil & gas as well as natural gas industry. Contact us for more details. Specifications for Alloy Steel T9 Seamless Tubes. If any specification is not mentioned here, please use the contact button for quick quote. Contact us or click on the below button to request a latest Alloy Steel T9 Seamless Tubes price list. Aspirinox Alloys INC is dedicated to providing the world class Alloy Steel T9 Seamless Tubes that cater all your demands at very competitive rates.